Home / Today's News / Top Spot / Can weight loss surgery reduce your diabetes risk? In 2012, the American Diabetes Association estimated that as many as 29.1 million Americans—a full 9.3 percent of the U.S. population—were living with diabetes. That’s up 3.3 million people from just two years before. Doctors have long known that excess weight is a key risk factor for Type 2 diabetes, or adult-onset diabetes, with Americans’ growing waist lines often cited as a key factor in the dramatic rise of diabetes in the U.S. This week, researchers in Great Britain released the first concrete evidence that slimming down through bariatric weight loss surgery can greatly reduce the risk of Type 2 diabetes in adults. According to the research, as many as three percent of obese people develop diabetes each year. Through their study, bariatric surgery, including gastric bypass or LAP band placement, reduced the incidence of Type 2 diabetes by 80 percent. The results of the study were published this week in the journal The Lancet Diabetes & Endocrinology. “Our results suggest that bariatric surgery may be a highly effective method of preventing the onset of new diabetes in men and women with severe obesity,” says Dr. Martin Gulliford of King’s College London, one of the study authors, in a press release. 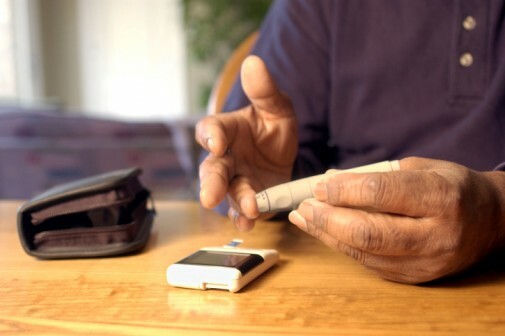 There are many risk factors for Type 2 diabetes, including family history, age and race. The study followed more than 2,100 non-diabetic, obese adults in two groups—those who underwent bariatric surgery and those who did not, equalizing the baseline characteristics for both. During follow-up, which occurred periodically for seven years, the researchers reported that 38 participants who had the surgery were diagnosed with diabetes, while 177 who did not were diagnosed. “We need to understand how weight loss surgery can be used, together with interventions to increase physical activity and promote healthy eating, as part of an overall diabetes prevention strategy,” says Dr. Gulliford. Dr. Paul Ringel, internist with Advocate Illinois Masonic Medical Center in Chicago, says he is encouraged by the results. Dr. Ringel says that less aggressive treatments to surgery would be the ideal, but can be very hard to achieve for some. Surgery can be a difficult option. I know that for some people I have known, changing their diet really made a tremendous difference. Root cause of many diseases is obesity. So yes, it will help to reduce diabetes risk.